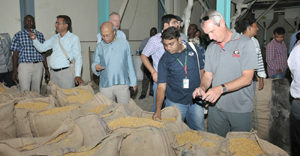 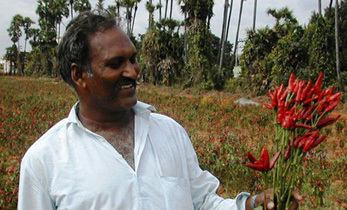 A high-level delegation from the Gates Foundation visited ICRISAT-Patancheru on 7 February 2007. 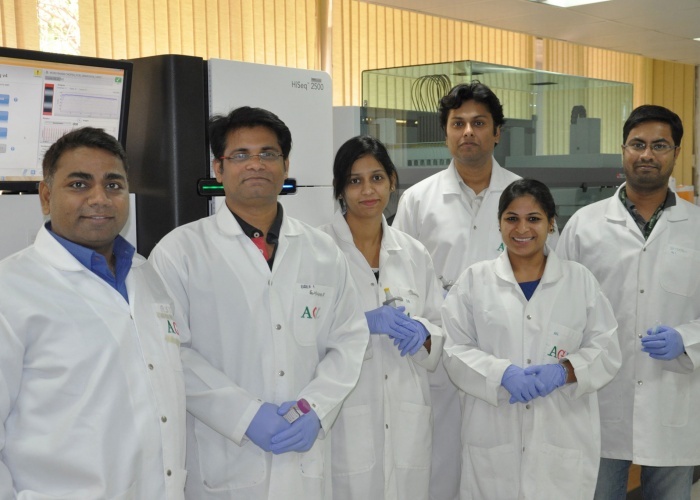 Amongst visits to other sites, the team visited the Applied Genomics Lab facilities, where Dr. Rajeev Varshney explained the ongoing research activities in biotechnology and how those linked with overall crop improvement efforts at ICRISAT and within the global agri-science community. 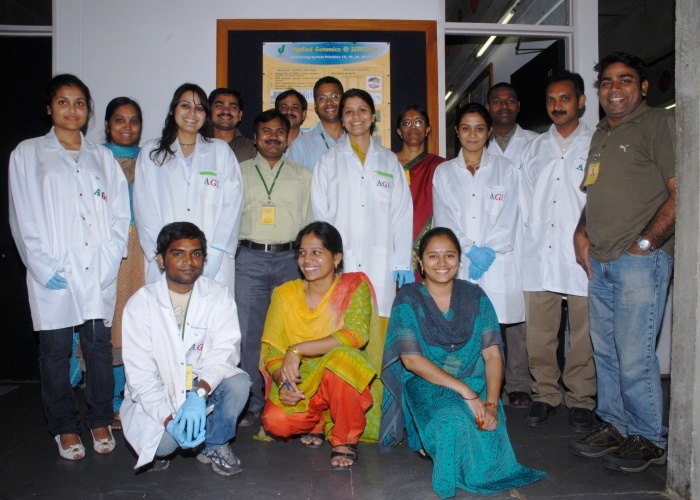 ICRISAT-CEG conducted several courses on Genomics and Plant Breeding, Molecular Marker Technology for Crop Improvement, etc. 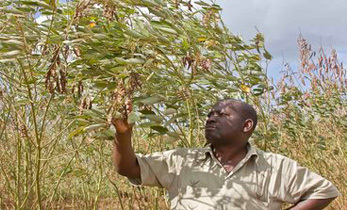 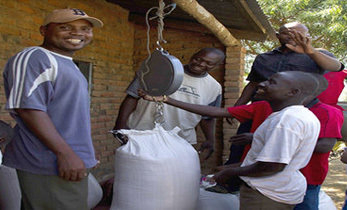 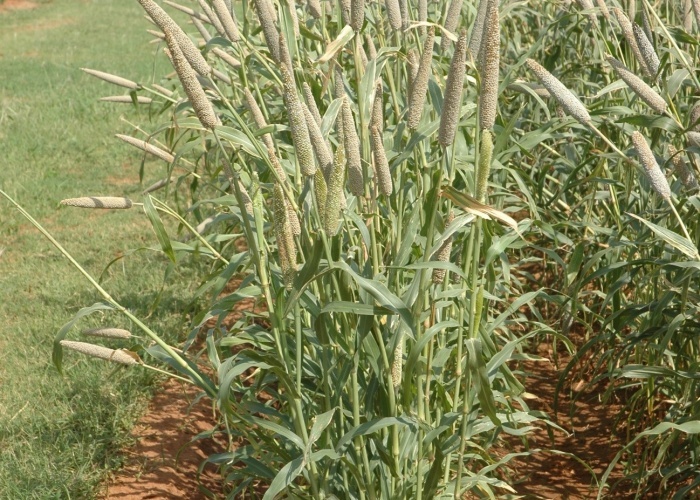 These courses were designed to impart training to participants on the latest technologies in keeping with the institute’s vision of “us(ing) promising genomic tools and approaches for the genetic improvement of its mandate crops (pearl millet, sorghum, chickpea, pigeonpea and groundnut), with the larger goal of reducing poverty, hunger, malnutrition and environmental degradation in the semi-arid tropics,” as voiced by Director General William D Dar. 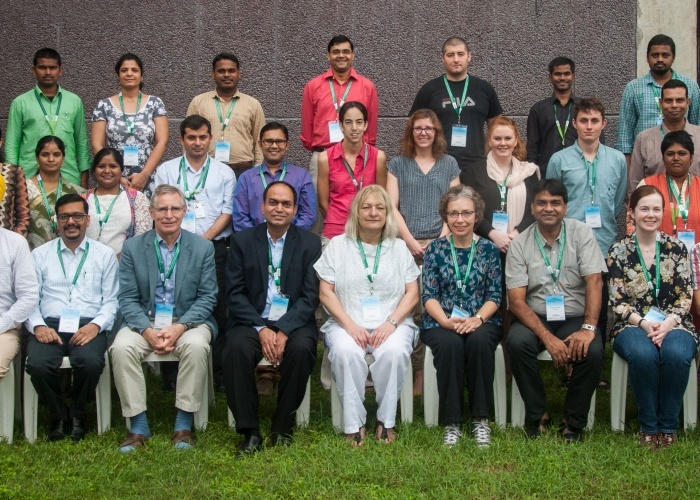 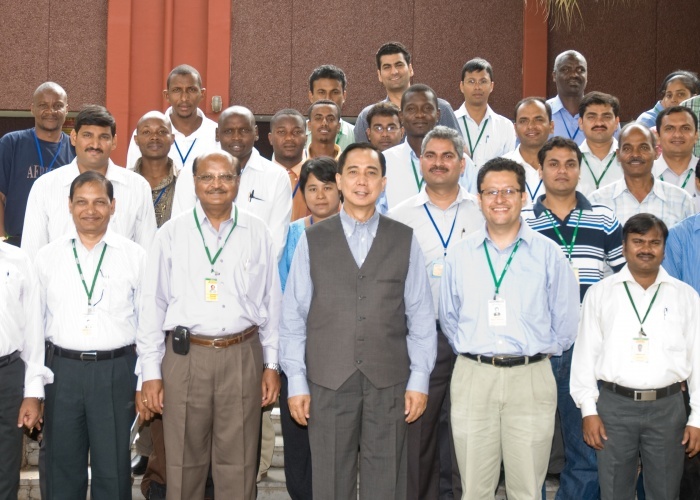 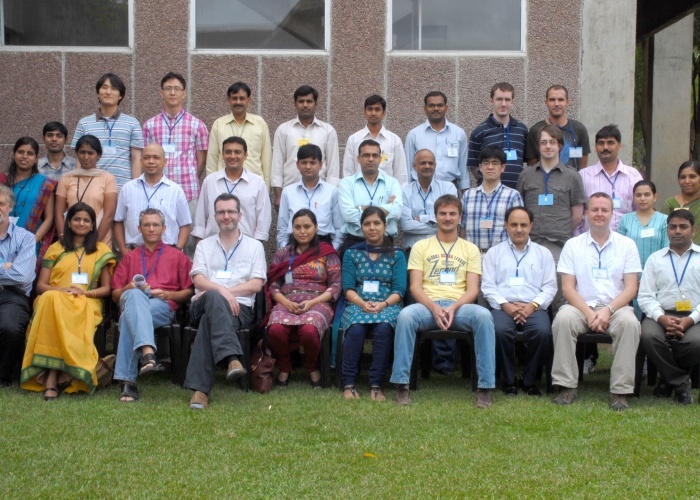 An International Workshop on Next Generation Sequencing (NGS) Data Analysis, sponsored by Generation Challenge Programme was held at ICRISAT-Patancheru from 21 to 23 July. 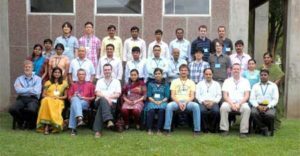 More than 30 scientists, including 13 scientists from other countries (USA, UK, France, Korea, Japan, Australia, Mexico and Philippines) participated in the workshop. 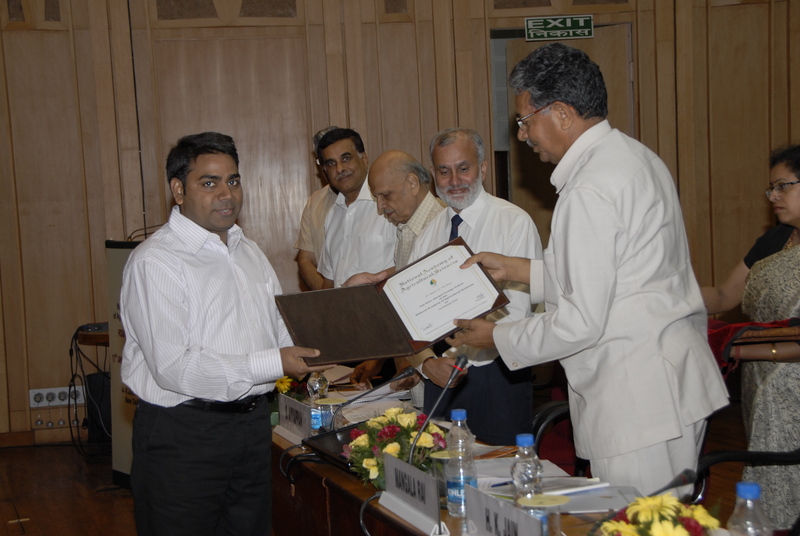 A workshop on Information System for Marker-Assisted Backcrossing (ISMAB) was held on 17 and 18 May at Patancheru. 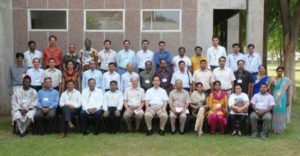 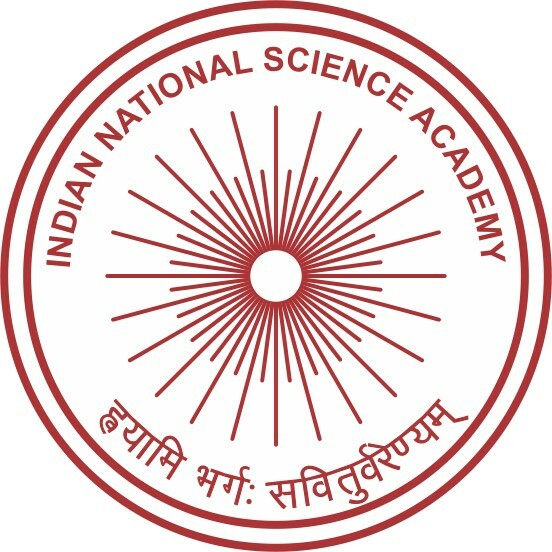 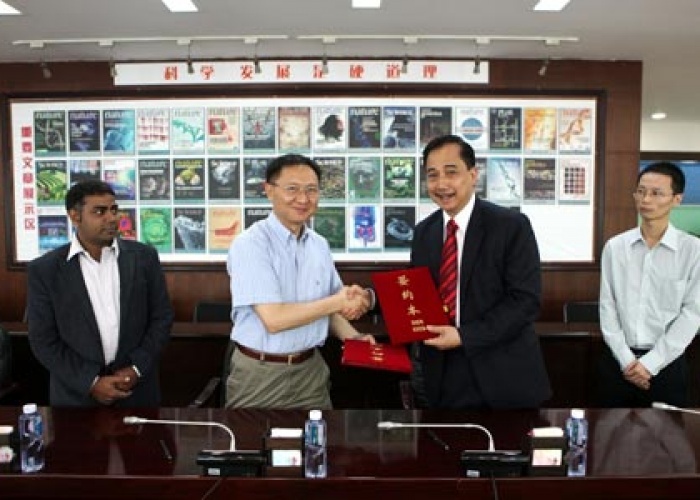 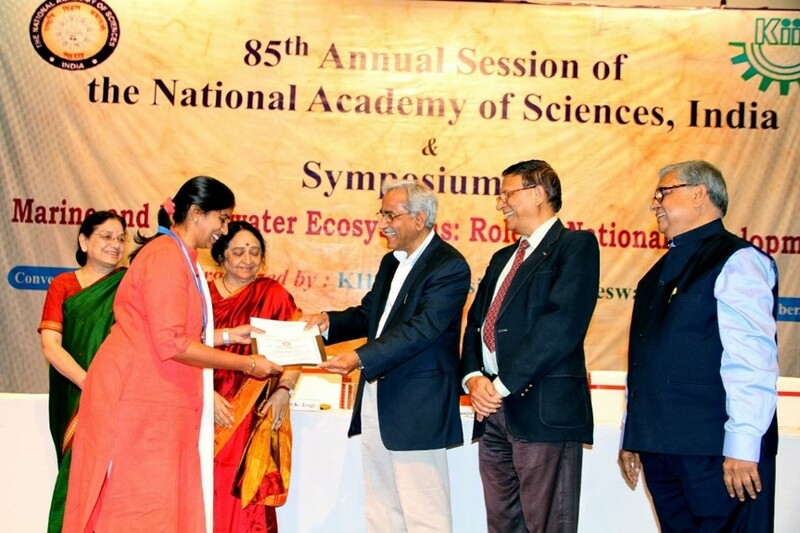 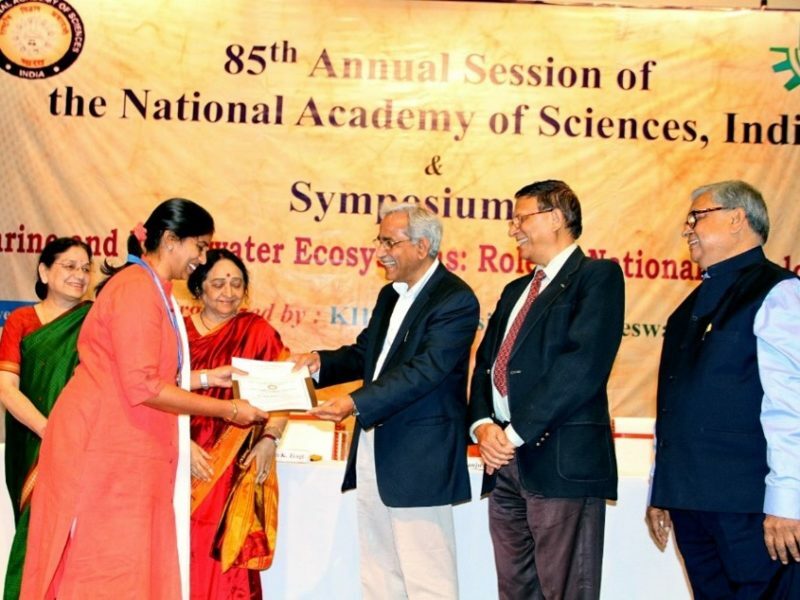 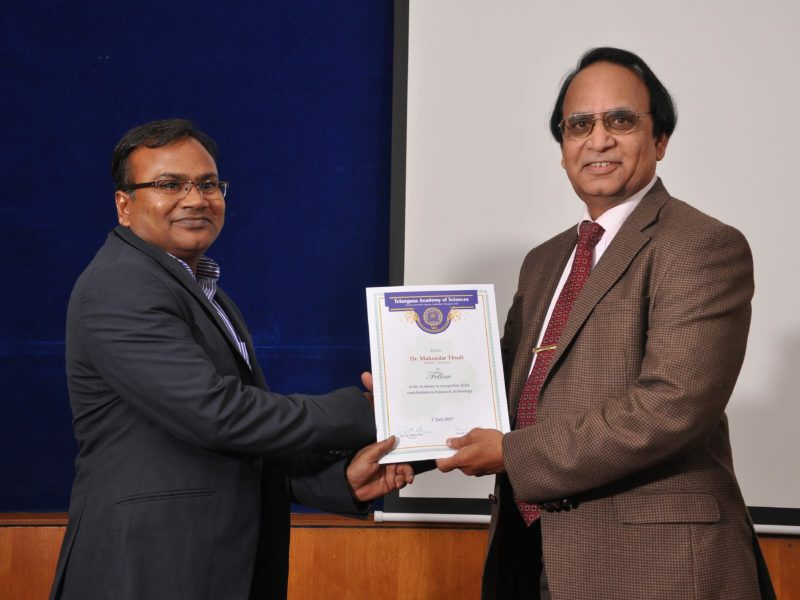 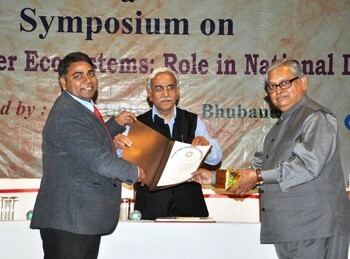 The workshop was part of the ISMAB project funded by the Department of Biotechnology (DBT), Government of India, and the Integrated Breeding Platform of the Global Challenge Program. 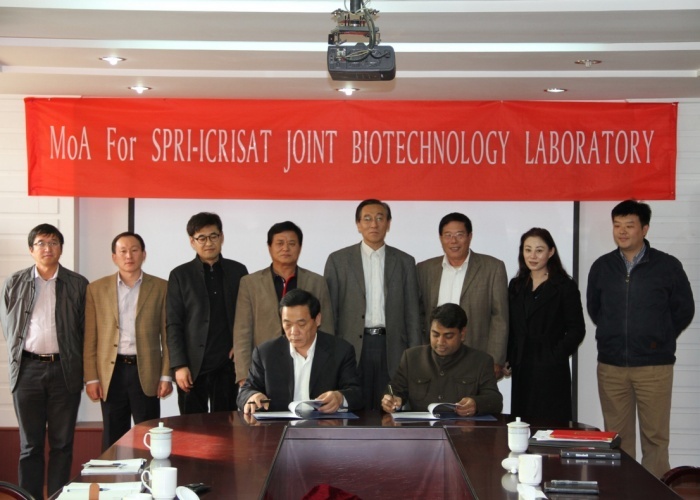 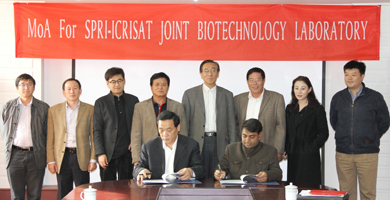 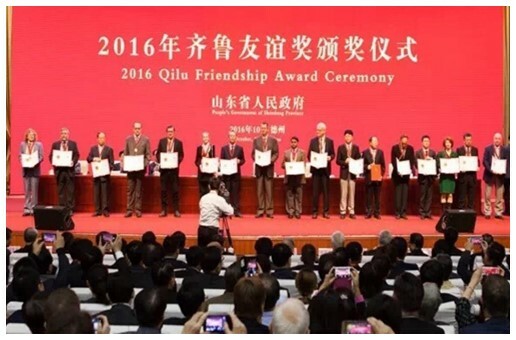 In addition to the ICRISAT users, five external participants with expertise in application of molecular markers for crop improvement were invited. 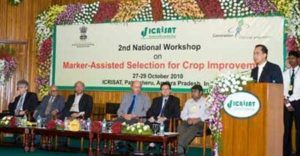 Director General Dr William Dar highlighted the use of molecular tools to assess genetic diversity and to evaluate plant genetic resource pools in addition to facilitating the transfer of desirable genes among plant varieties. 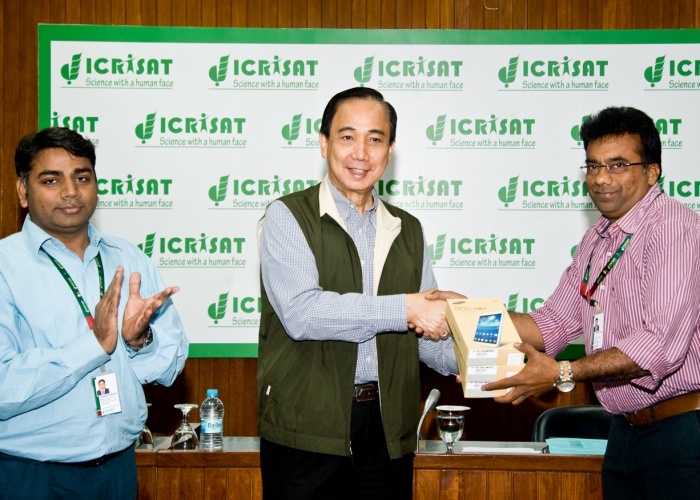 He stressed the need for enhanced toolkits to fight global scourges like poverty and malnuitriton at the inaugural of the ICRISAT-Center of Excellence in Genomics (CEG) sponsored Training courses on Molecular tools for Crop Improvement. 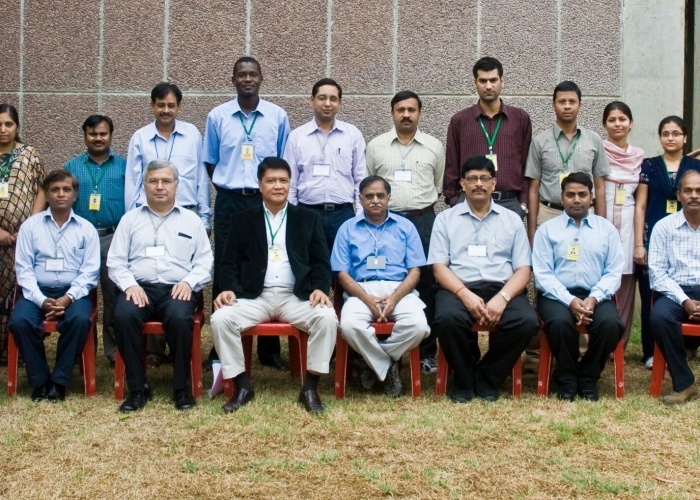 In continuation of the 1st National Workshop of Accelerated Crop Improvement Programme (ACIP) of the Department of Biotechnology (DBT), Government of India, held in New Delhi in December 2009, ICRISAT, in collaboration with DBT and the CGIAR Generation Challenge Program, hosted the “2nd National Workshop on Marker-Assisted Selection (MAS) for Crop Improvement” during 27-29 October, at the ICRISAT-Patancheru campus. 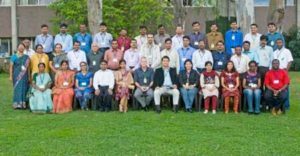 Though the workshop was termed a “national” workshop, about 100 delegates from 19 different countries and ICRISAT’s sister centers (CIMMYT and IRRI) and AVRDC participated in the workshop. 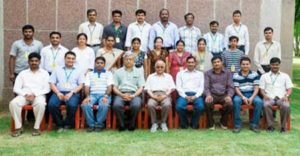 ICRISAT, in collaboration with the CGIAR Generation Challenge Programme (GCP), hosted the second International Workshop on Next Generation Sequencing (NGS) Data Analysis, from 1 to 3 November, at Patancheru. 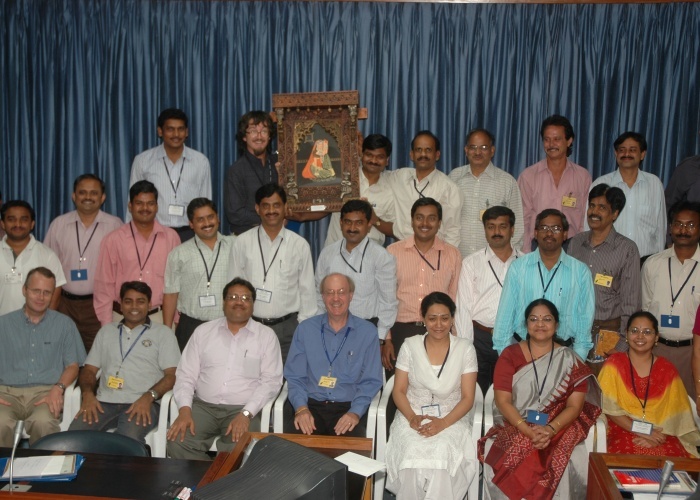 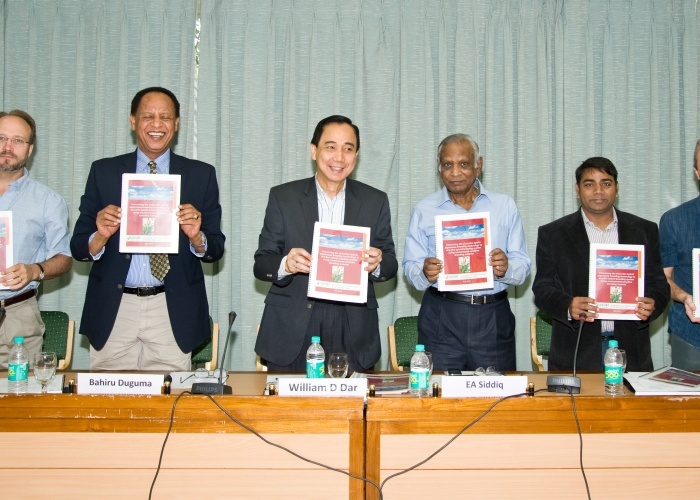 This was in continuation of the first workshop hosted in July 2009. 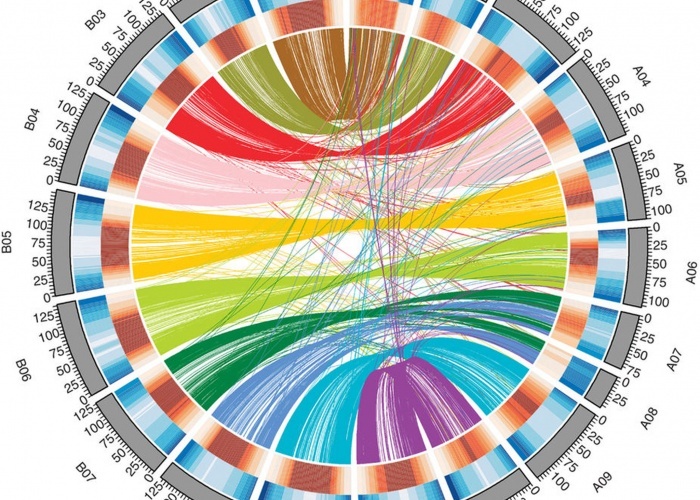 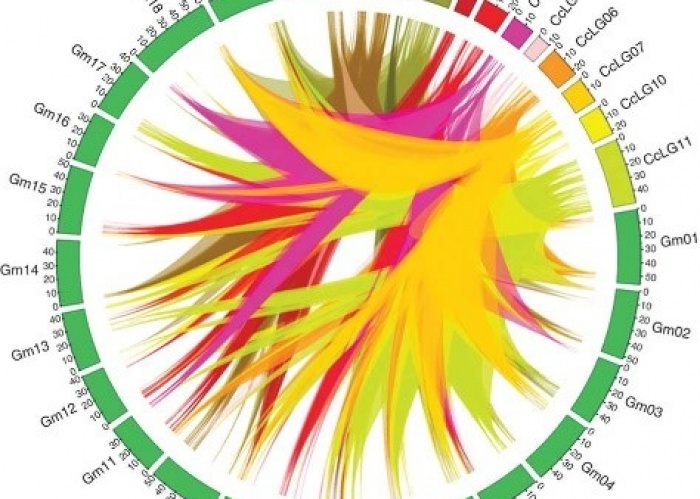 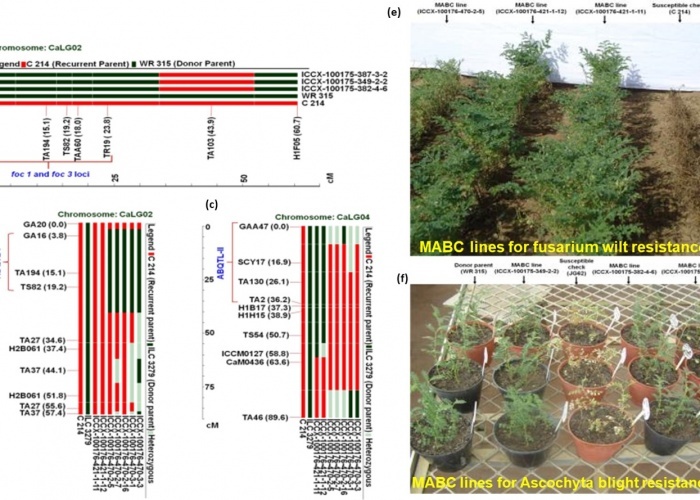 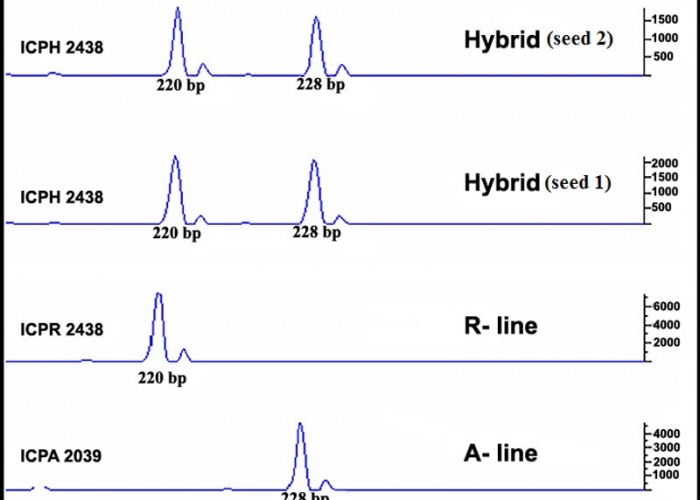 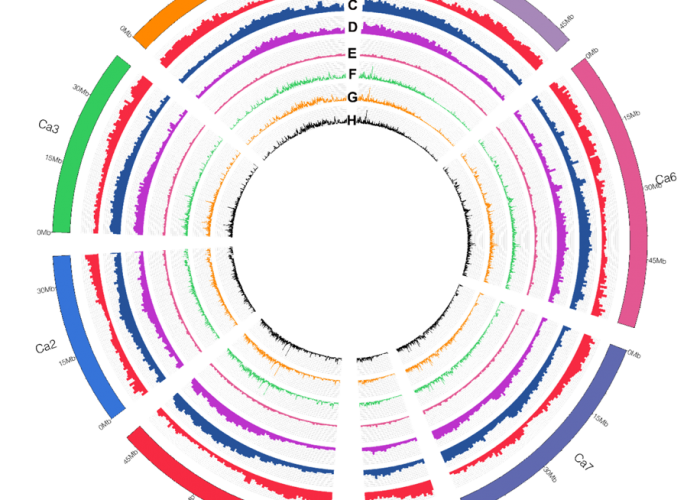 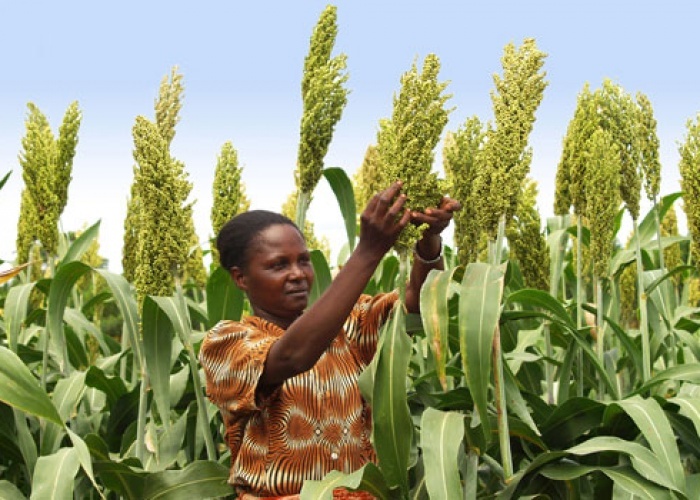 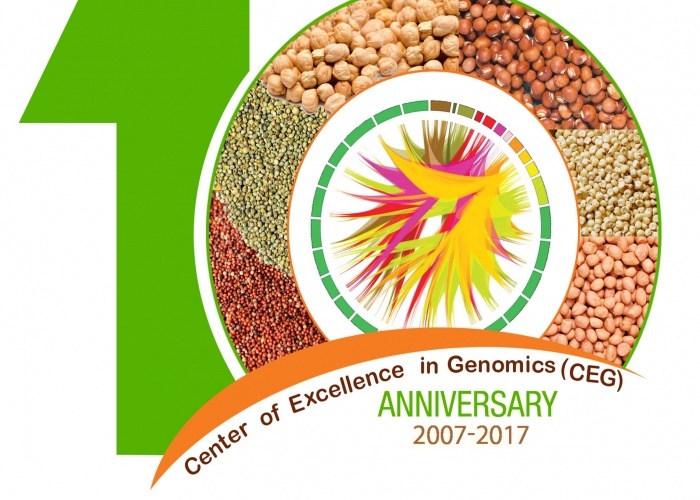 Rapid advancement of sequencing technologies such as NGS enable the resequencing of entire plant genomes/sampling of entire transcriptomes more efficiently and economically, and give crop scientists the edge they need to keep up with new demands in fighting global challenges like poverty and malnutrition. 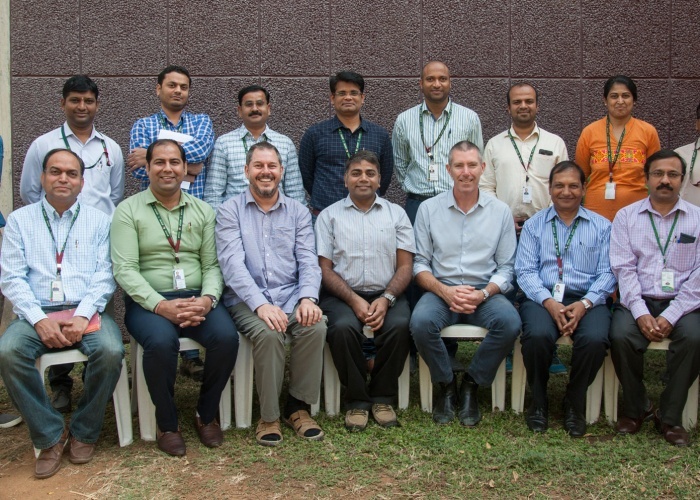 ICRISAT’s CEG conducted its ninth training course on Molecular Plant Breeding for Crop Improvement on 7-18 November at ICRISAT-Patancheru, under ICRISAT-CEG Phase II. 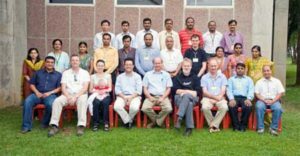 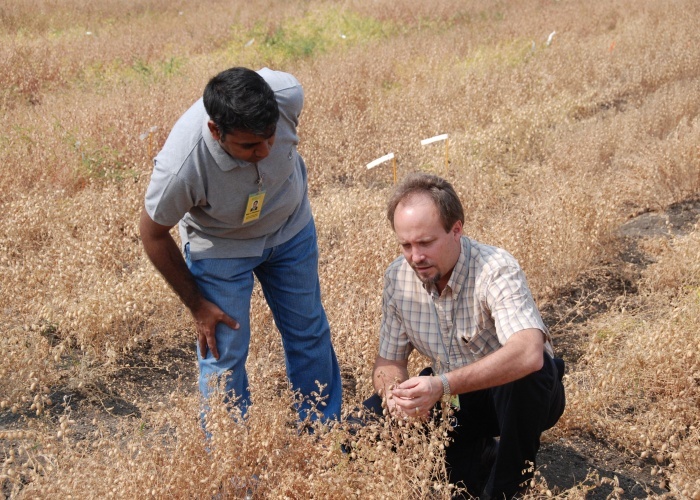 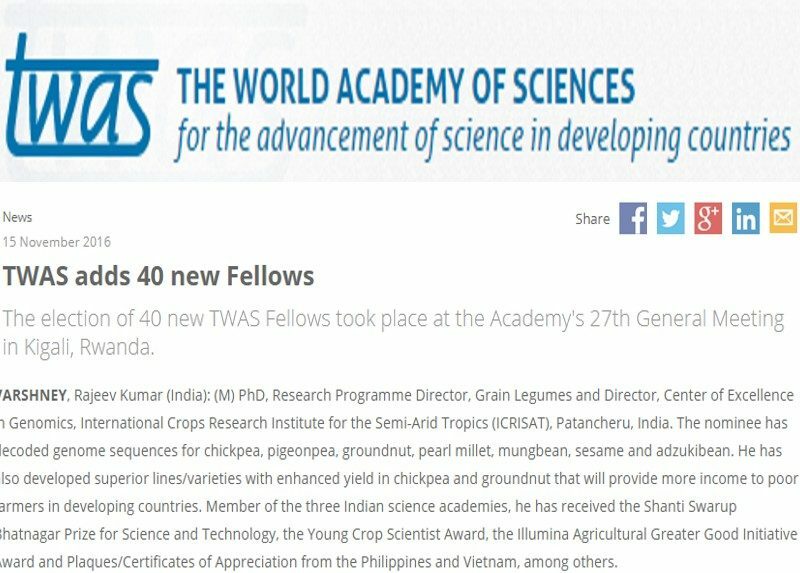 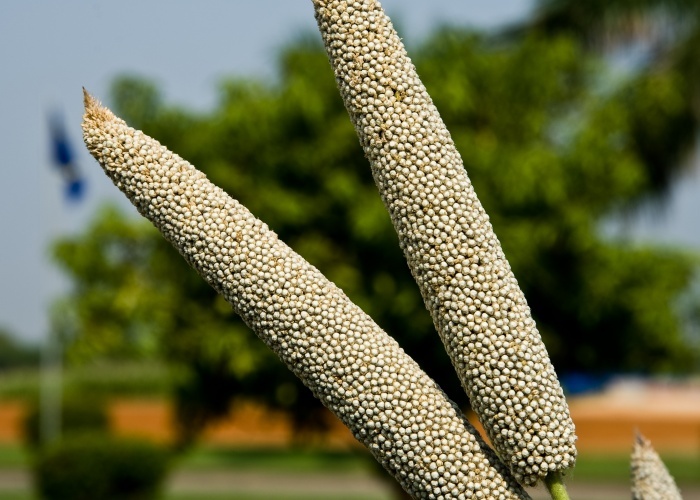 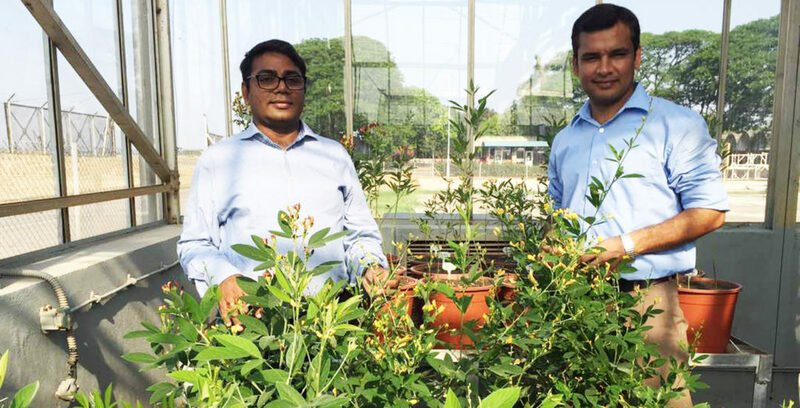 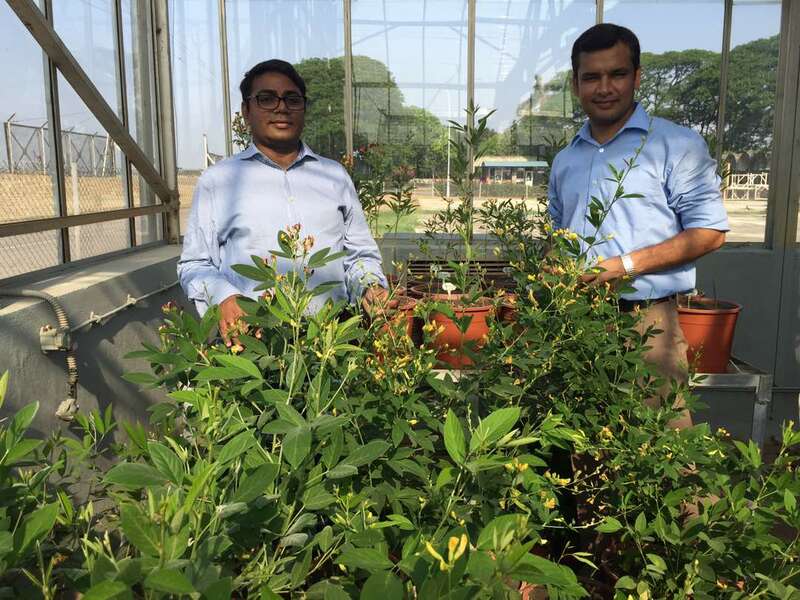 Twenty-seven participants from Sri Lanka, Nigeria and Chile, and Indian state agricultural universities, ICAR research centers, research foundations, and the private seed industry took part in the training. 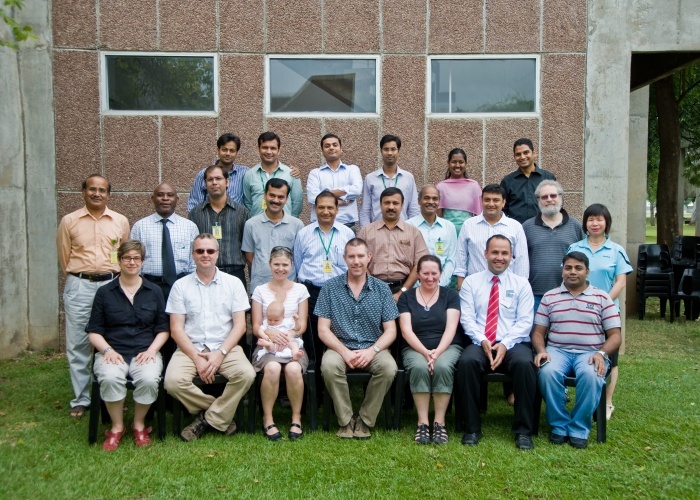 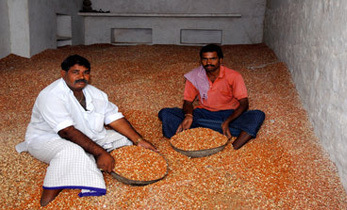 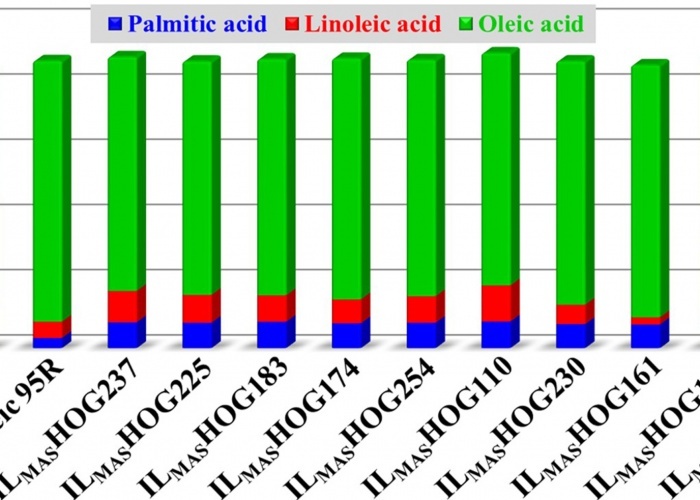 The interactive course exposed them to advanced methodologies of molecular plant breeding such as DArT, SSR and SNP markers, linkage and QTL mapping, association mapping, marker-assisted recurrent selection (MARS), genomic selection (GS), NGS technologies, and bioinformatics tools and their application in crop improvement. 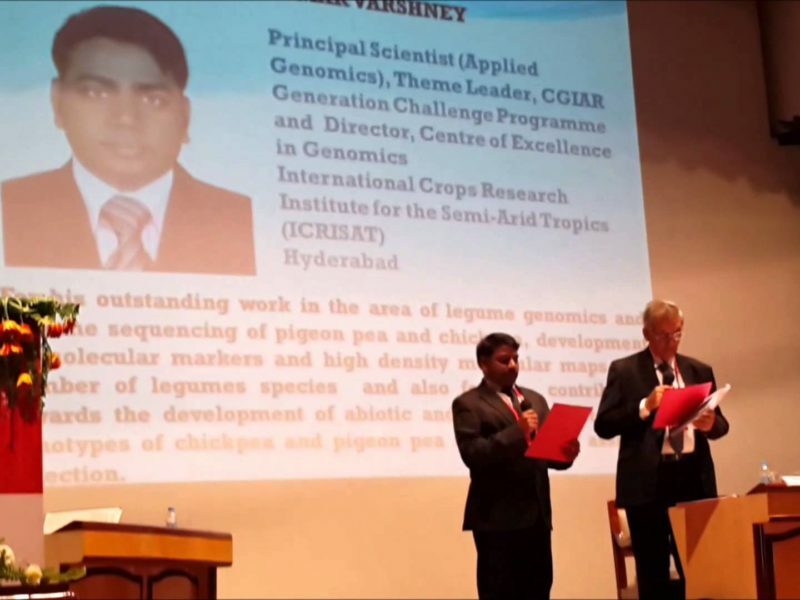 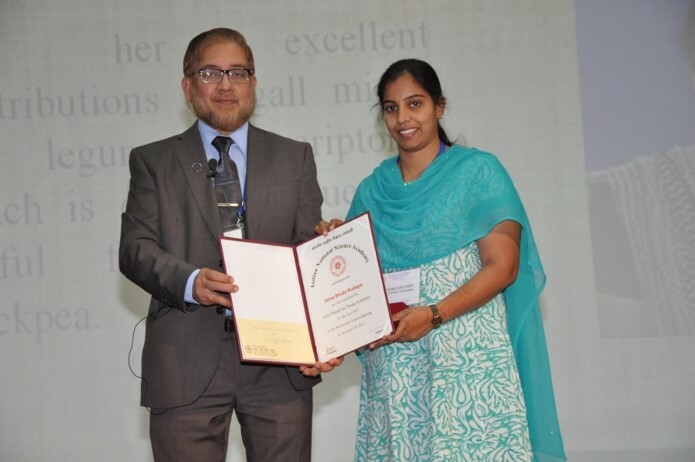 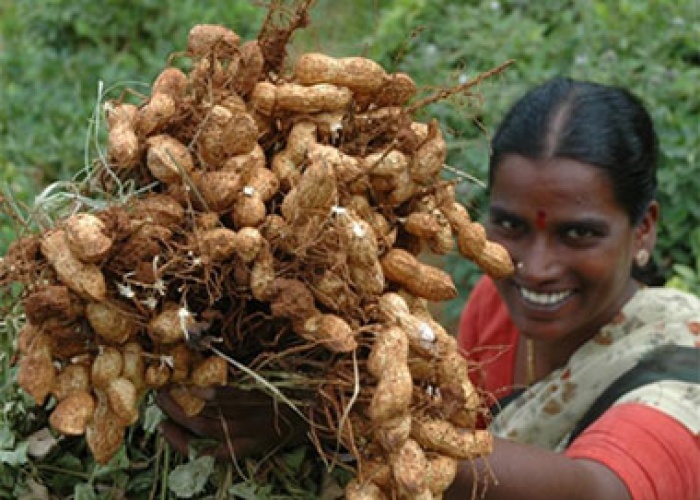 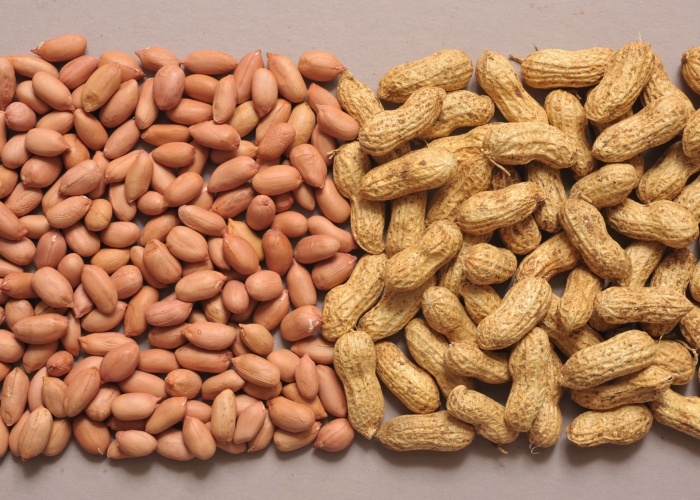 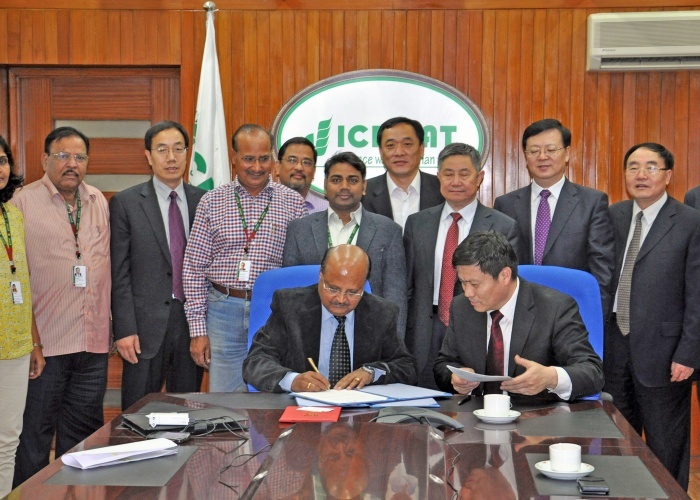 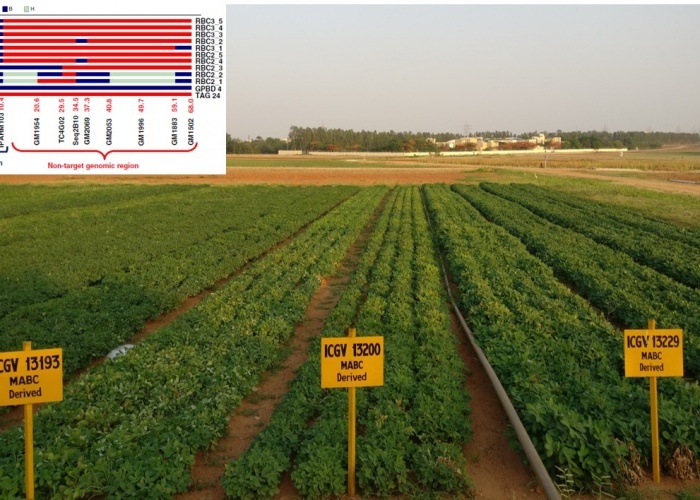 ICRISAT hosted the sixth International Congress on Legume Genetics and Genomics (ICLGG) in collaboration with the Indian Council of Agricultural Research (ICAR) in Hyderabad under the leadership of Dr Rajeev Varshney of the CEG. 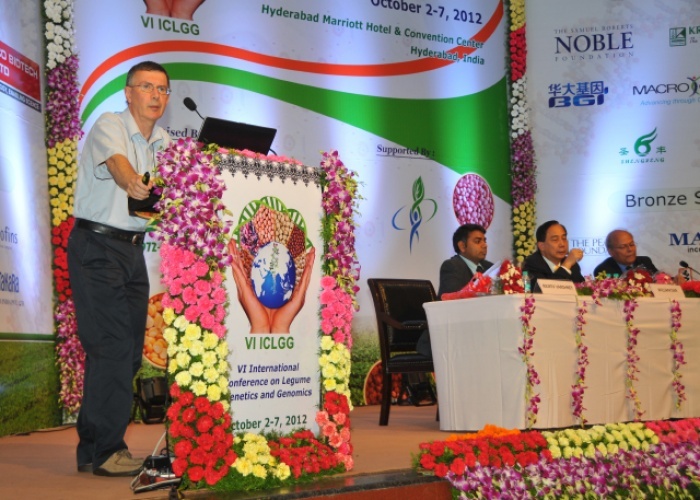 The aim of the conference was to stimulate ideas and establish collaborations as well as to initiate intense discussions about future innovations and directions in the basic and applied fields of legume biology. 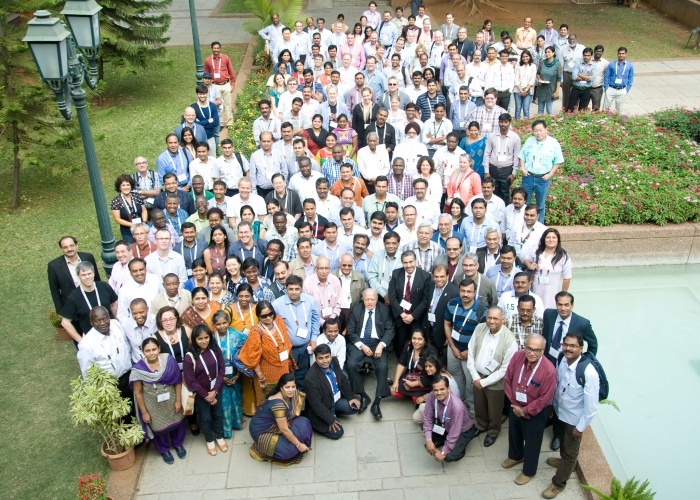 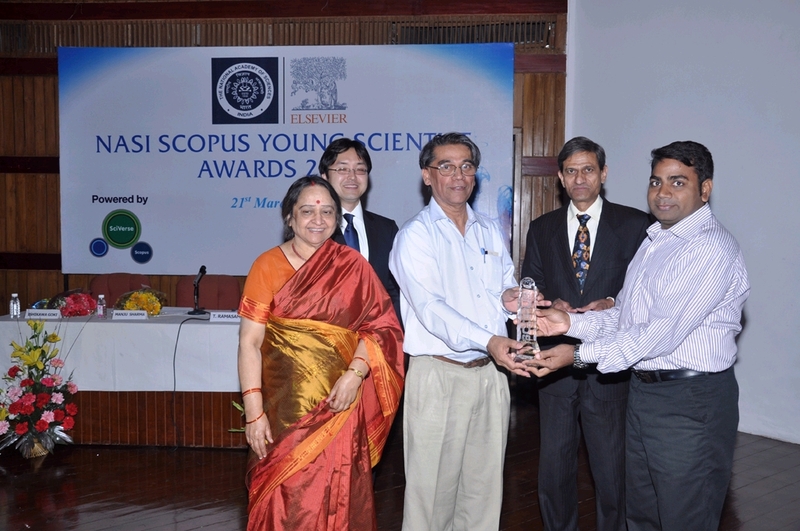 The confference saw over 60 talks and 290 poster presentations over 13 sessions. 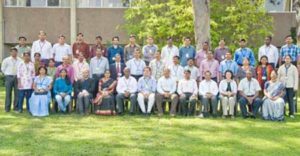 Renowned scientist and 11th President of India, Dr APJ Abdul Kalam, visited ICRISAT headquarters at Patancheru on 20 June. 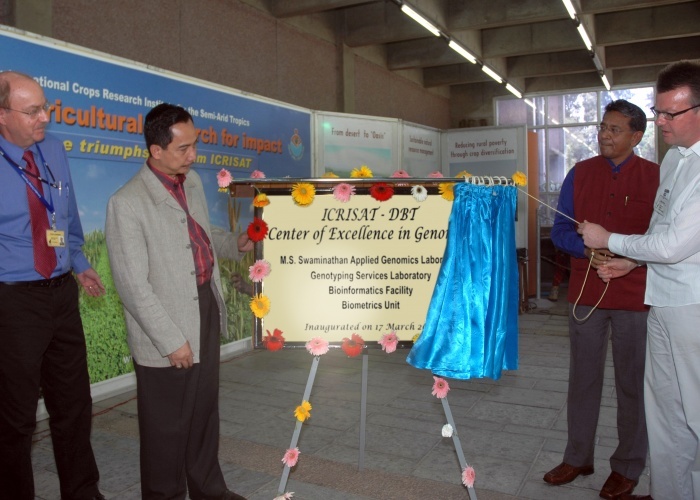 The purpose of his visit was to inaugurate the newly constructed greenhouse containment facility of the Platform for Translational Research on Transgenic Crops (PTTC). 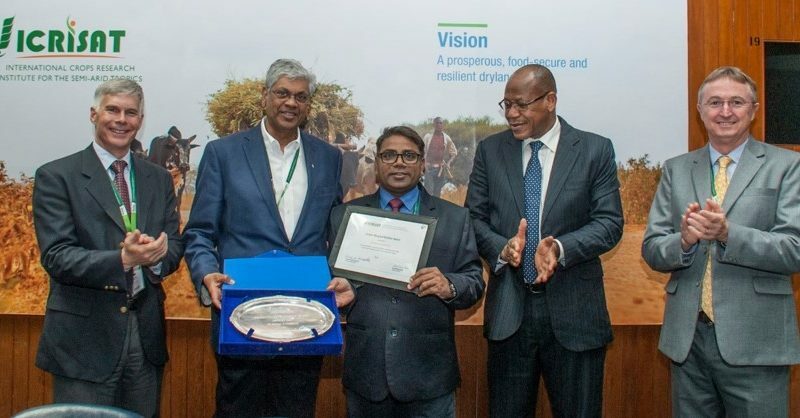 While on his visit, he highlighted the role of research breakthroughs in agricultural biotechnology in the areas of crop productivity and crop resistance to pests and diseases, thereby helping solve the food crisis. 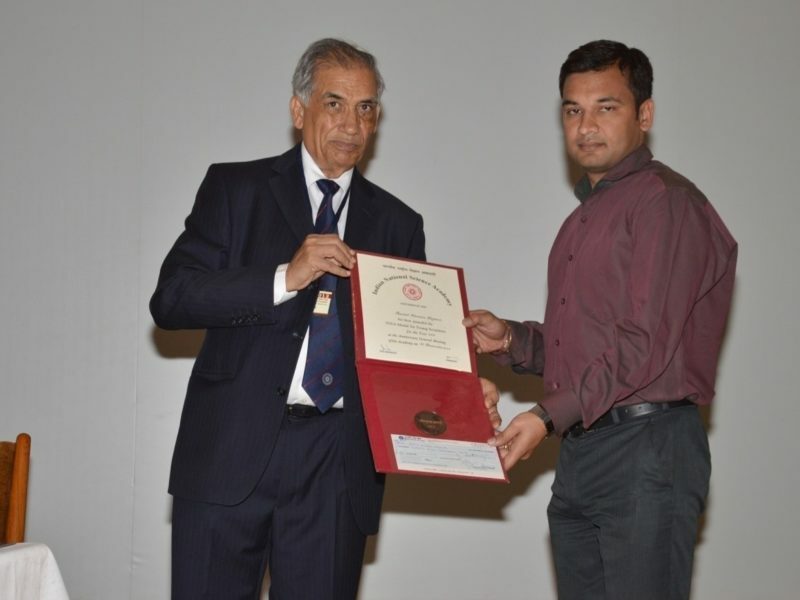 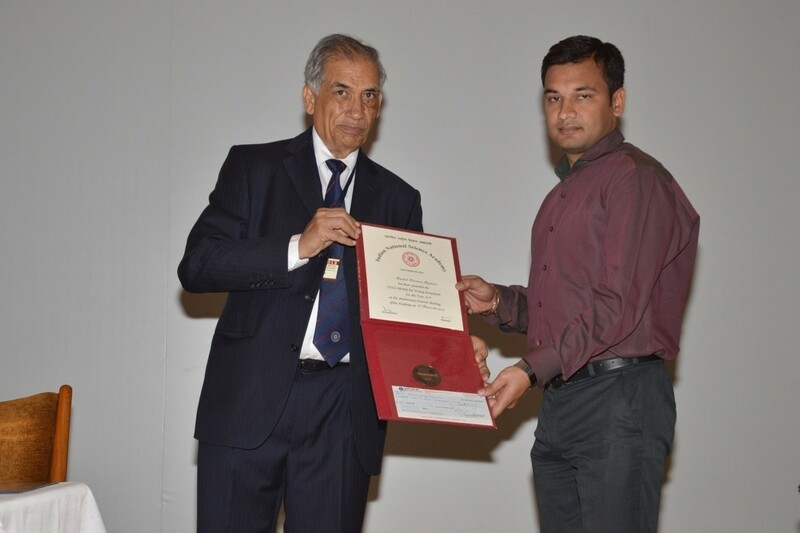 Encouraging ICRISAT scientists, he said that future food demand cannot be met merely from incremental gains through conventional plant breeding and a quantum change in yield improvement is needed. 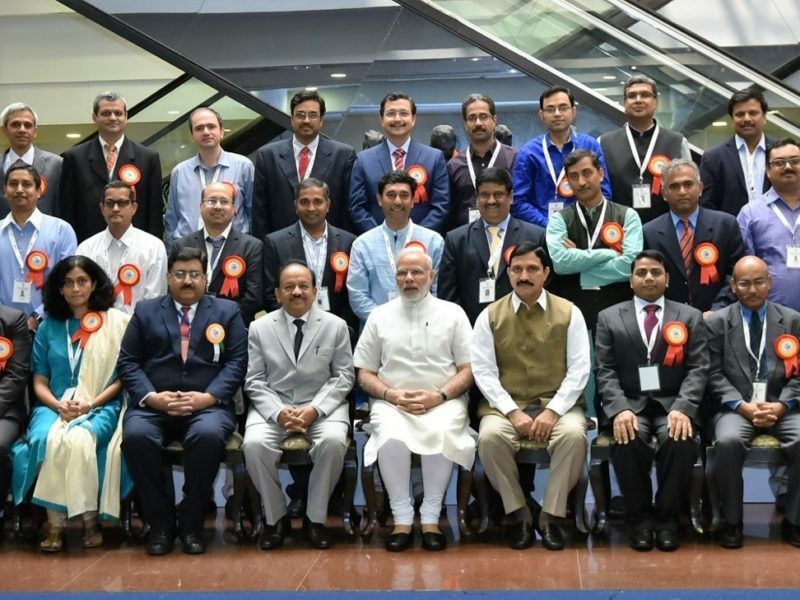 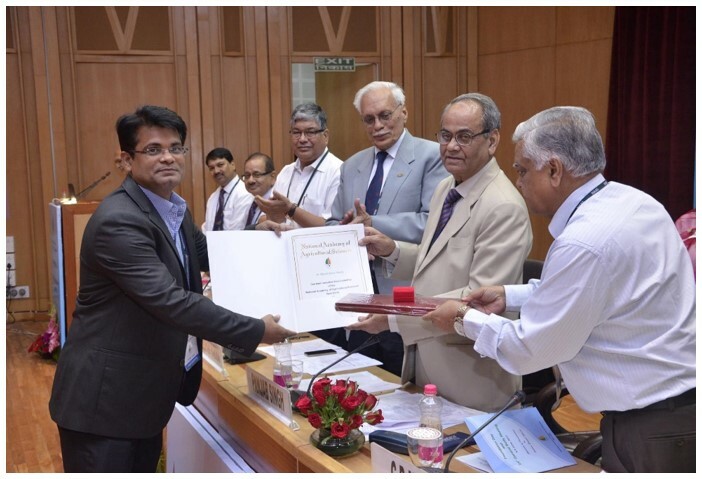 Dr Rajeev Varshney, Director, Center of Excellence in Genomics (CEG), delivered a presentation on “Open data in genomics and modern breeding for crop improvement” at the two-day conference on Open Data for Agriculture held at the World Bank in Washington on 29-30 April. 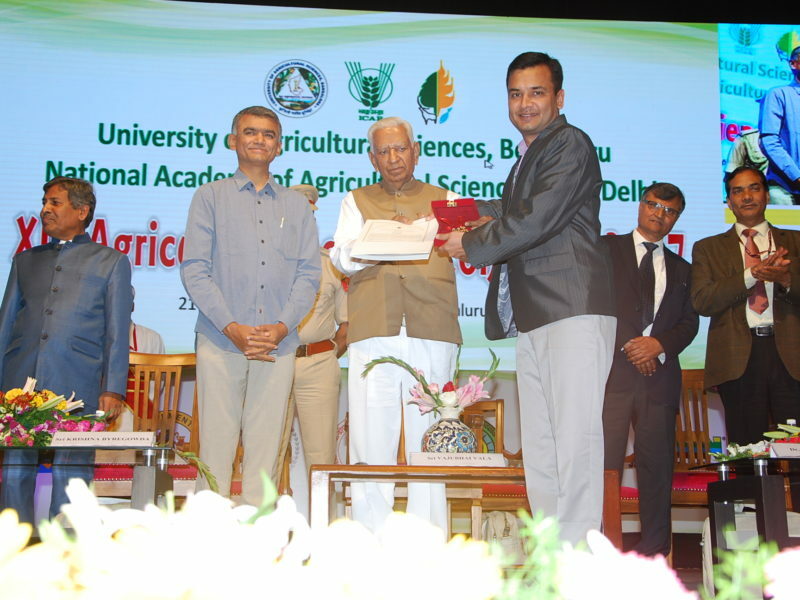 He highlighted the work being done by ICRISAT, the Generation Challenge Program (GCP), and partner institutes in the area of Open Data in the context of genomics and modern breeding, underlining the perspectives, opportunities and challenges for global breeding in the decade to come. 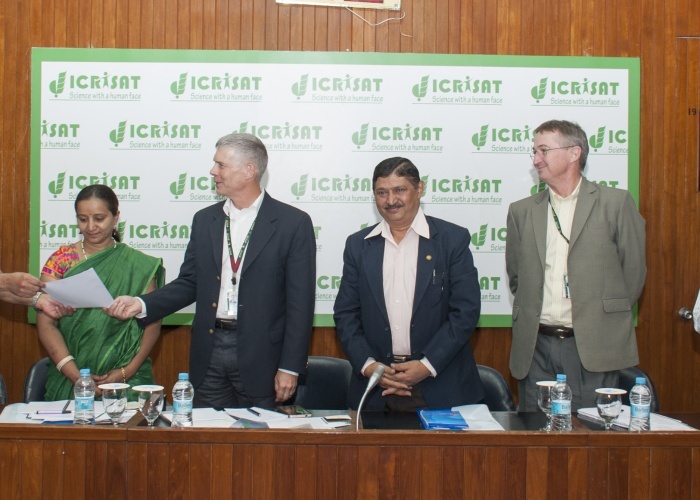 ICRISAT organized the NGGIBCI-V in partnership with the Bill & Melinda Gates Foundation and the CGIAR Generation Challenge Program. 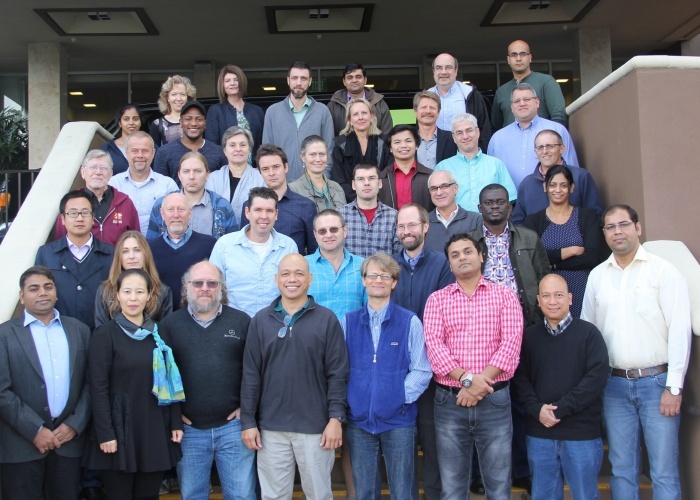 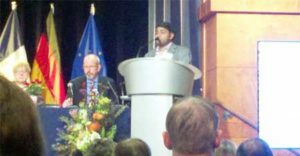 Over 300 delegates from 30 countries worldwide, and representatives from both private and public sector, deliberated on future collaborations and ways to integrate next-generation genomics into the future of crop improvement to contribute to global food and nutrition security. 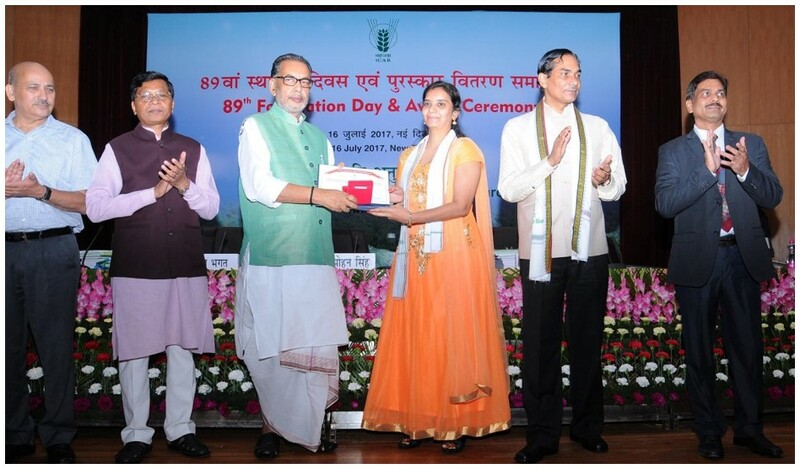 “Taking technologies that are ready to the doorstep of every smallholder farmer in the country is a priority for the Union Government. 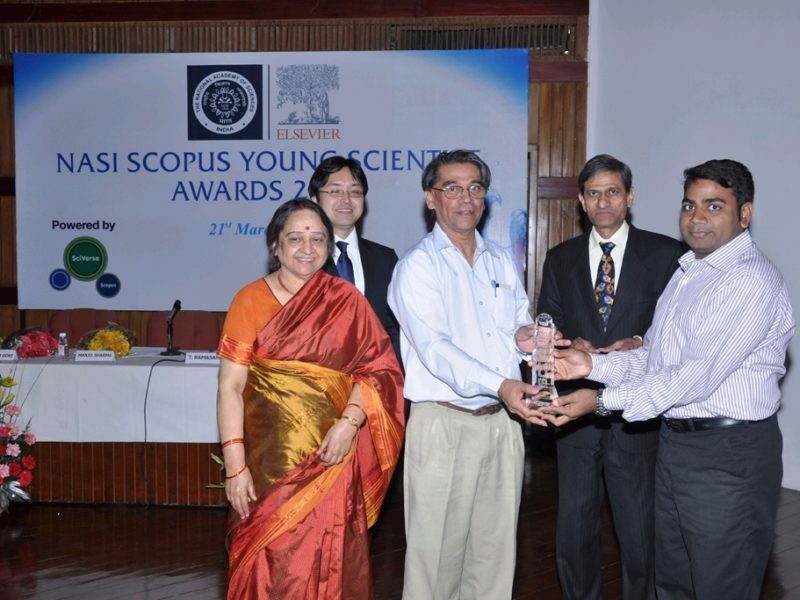 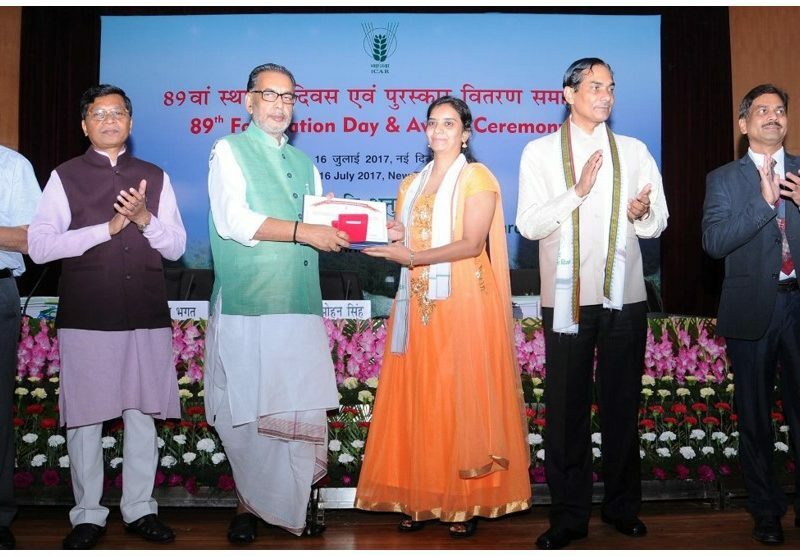 With support from ICRISAT and other agricultural institutions, we will reach out to more farmers in rural India,” said Radha Mohan Singh, Union Minister for Agriculture while commending the work of scientsts at ICRISAT. 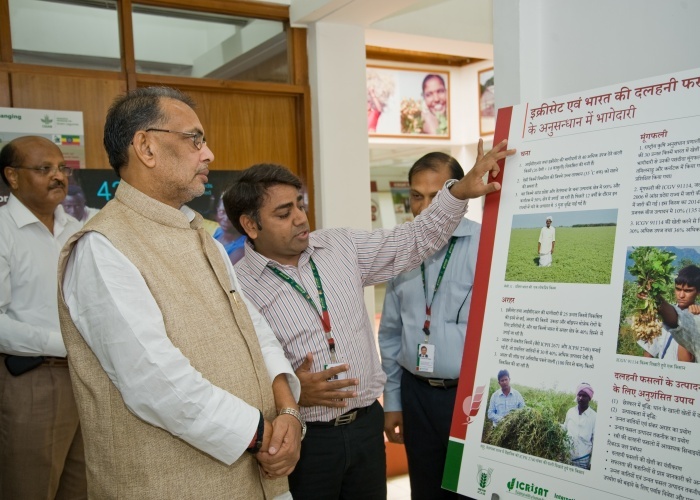 Highly appreciative of of the institute’s farmer-participatory integrated watershed management model, he also pledged additional support to the efforts of ICRISAT to enable a ‘Pulses Revolution’ in India. 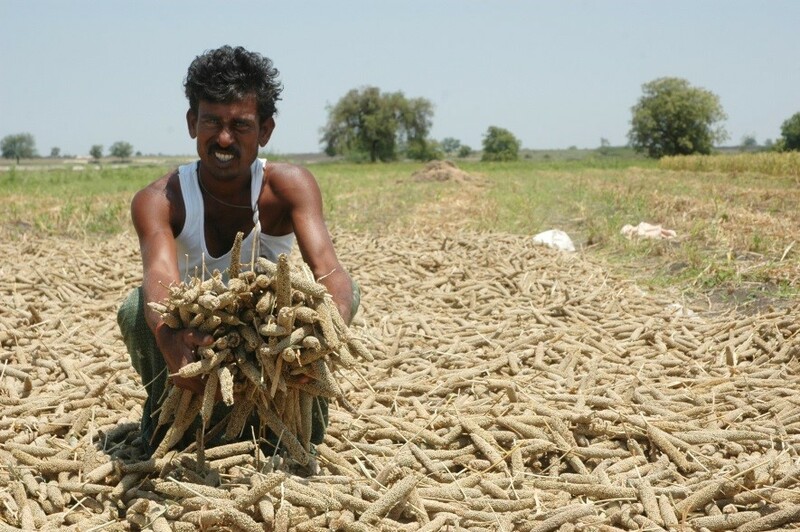 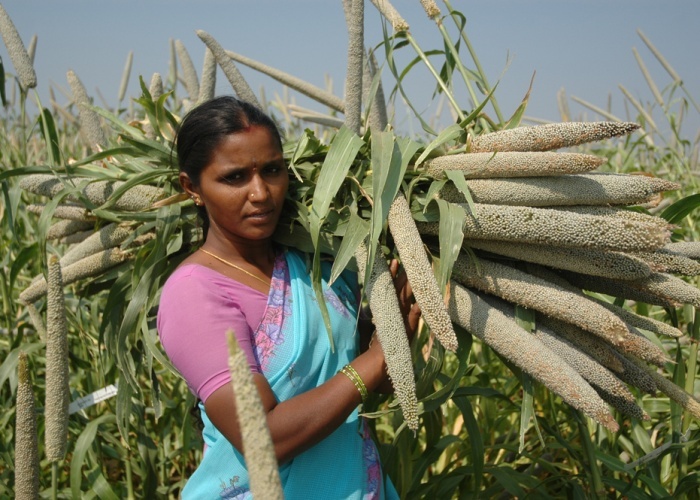 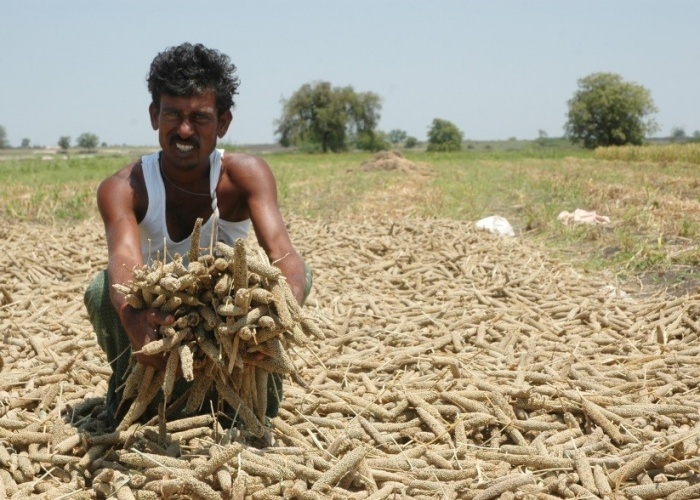 The fifth Inter Drought conferece was held in Hyderabad between 21-25 February, calling for harnessing modern tools to help farmers overcome the devastating effects of drought. 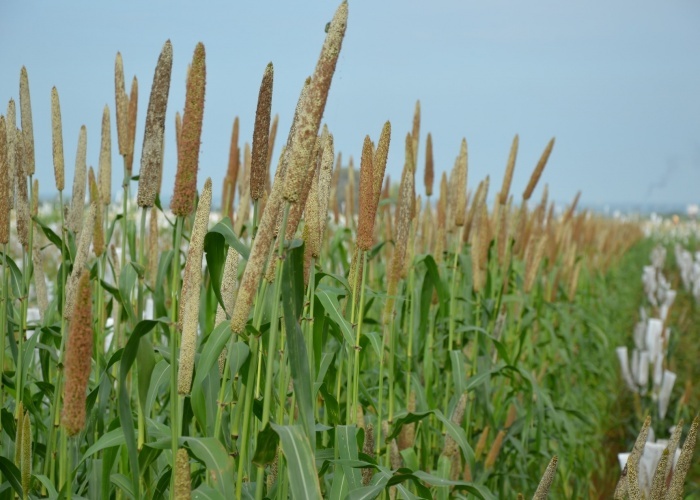 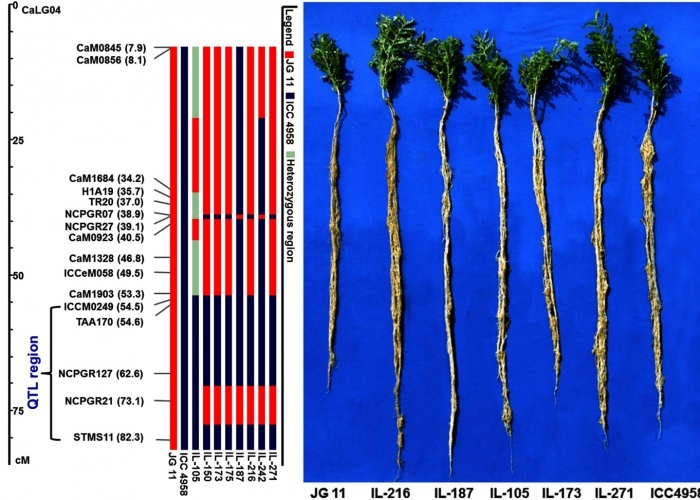 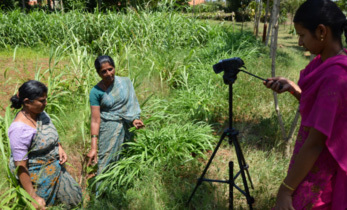 “Given the severity of drought, a central challenge for researchers and policy makers is to devise technologies that lend greater resilience to agricultural production under this stress. 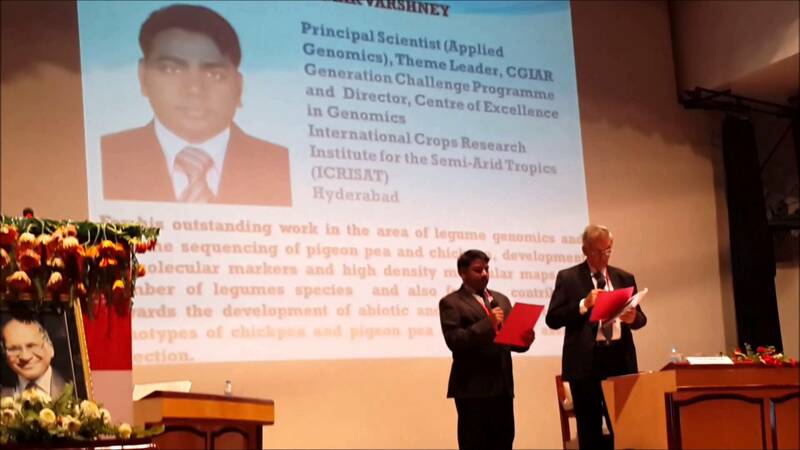 Therefore 942 participants from 315 organizations from 56 countries assembled here to address this important issue,” said Dr Rajeev Varshney, the Conference Organization Chair and Research Program Director, ICRISAT. 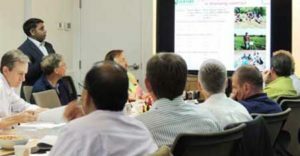 Rajeev Varshney, ICRISAT’s Director, Center of Excellence in Genomics, participated in a brainstorming session organized by the Bill & Melinda Gates Foundation with a small group of external experts to explore ways in which advances in digital technologies might benefit smallholder farmers in sub-Saharan Africa and Southeast Asia. 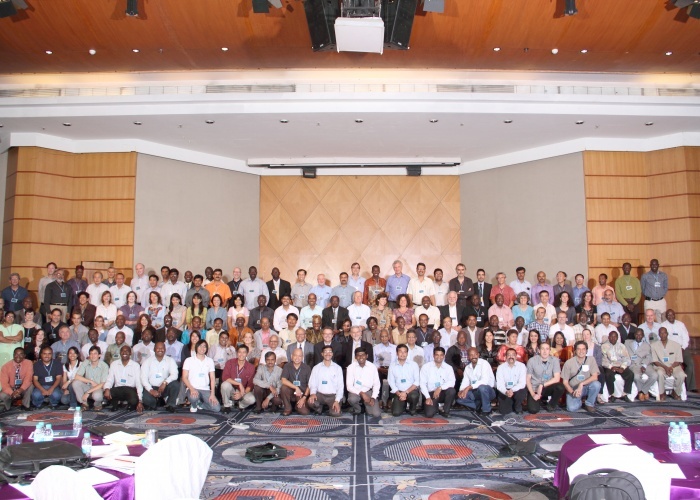 FAO’s Regional Meeting on Agricultural Biotechnologies in Sustainable Food Systems and Nutrition in Asia-Pacific, held in September 2017 in Kuala Lumpur, stressed the significance of improving access to biotechnologies to improve food security and fight poverty, especially for smallholders. 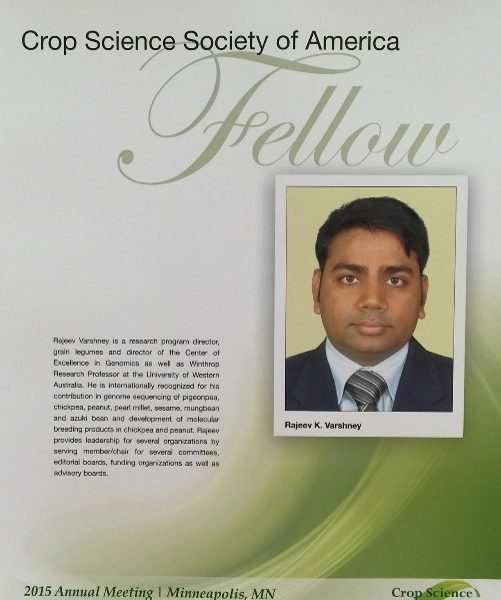 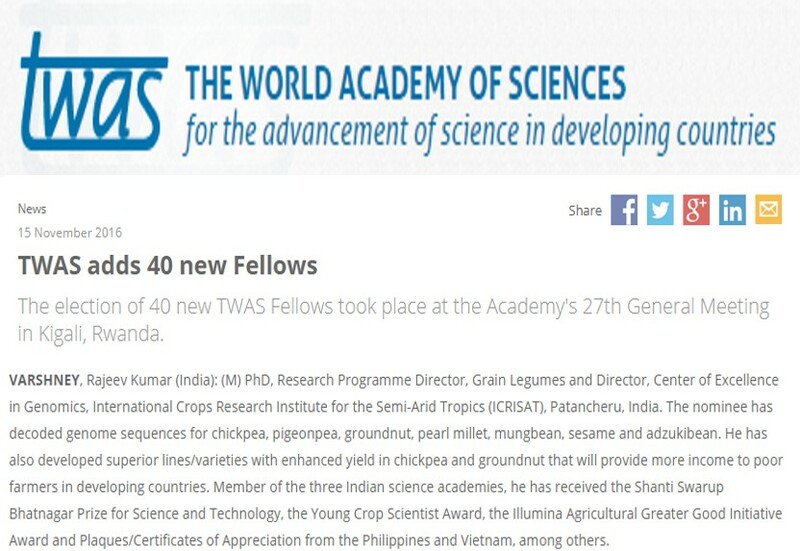 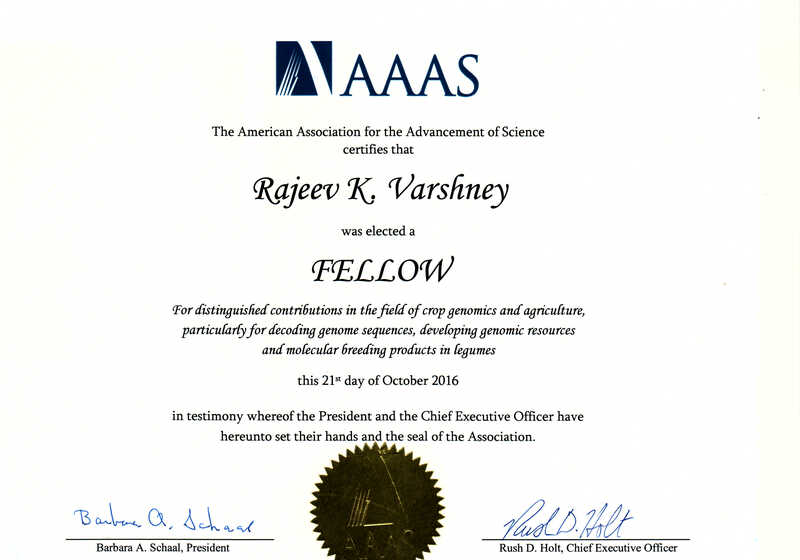 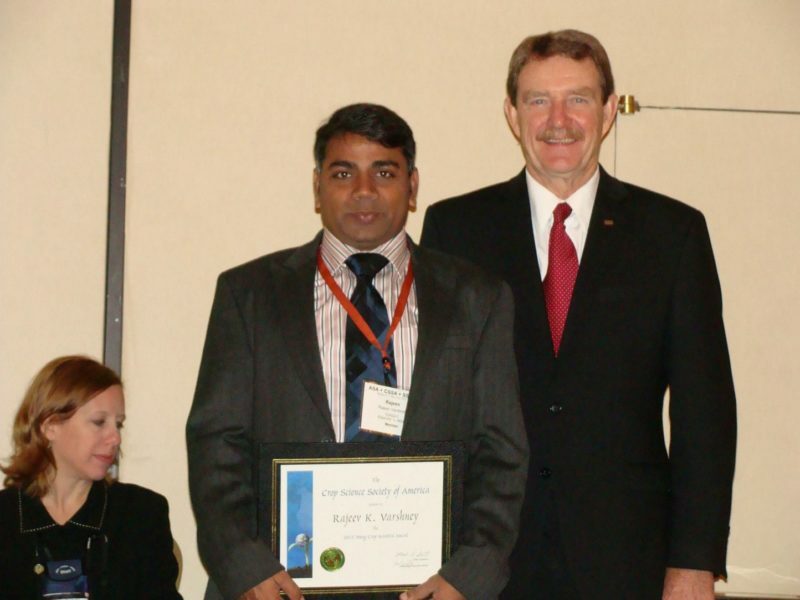 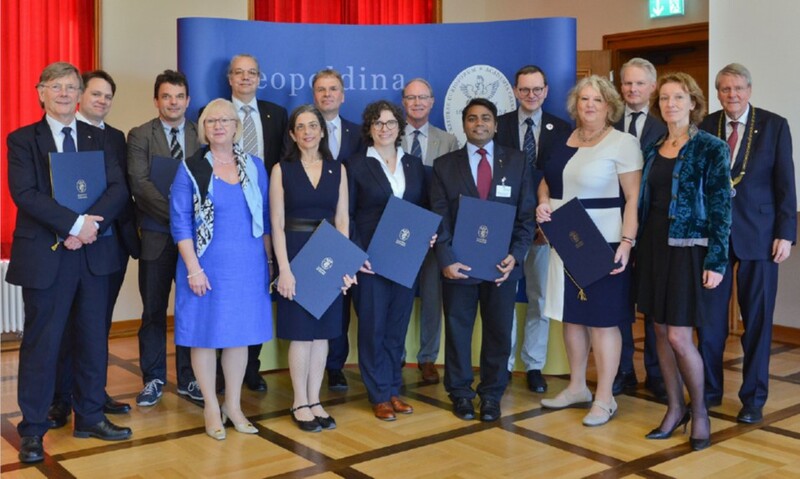 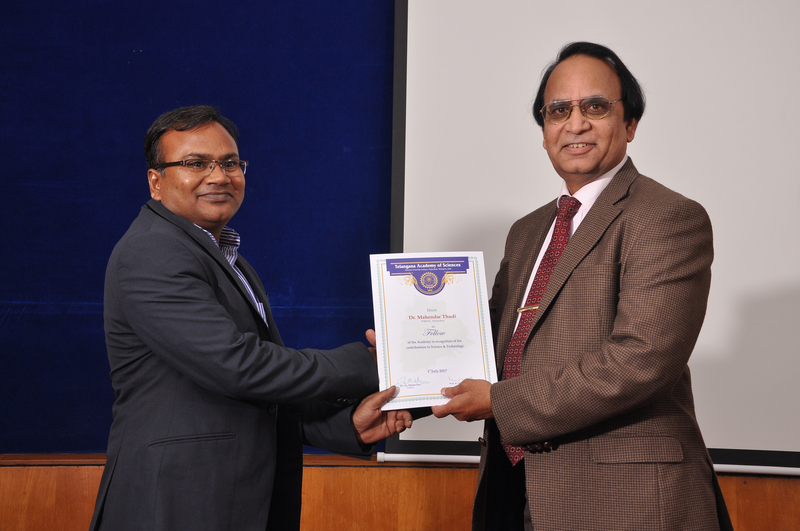 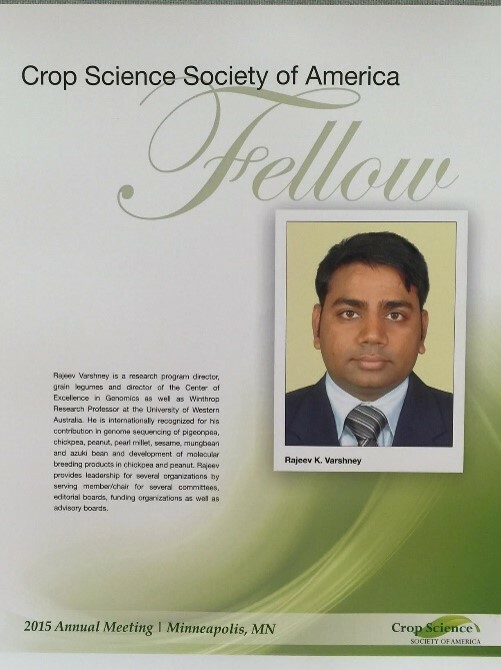 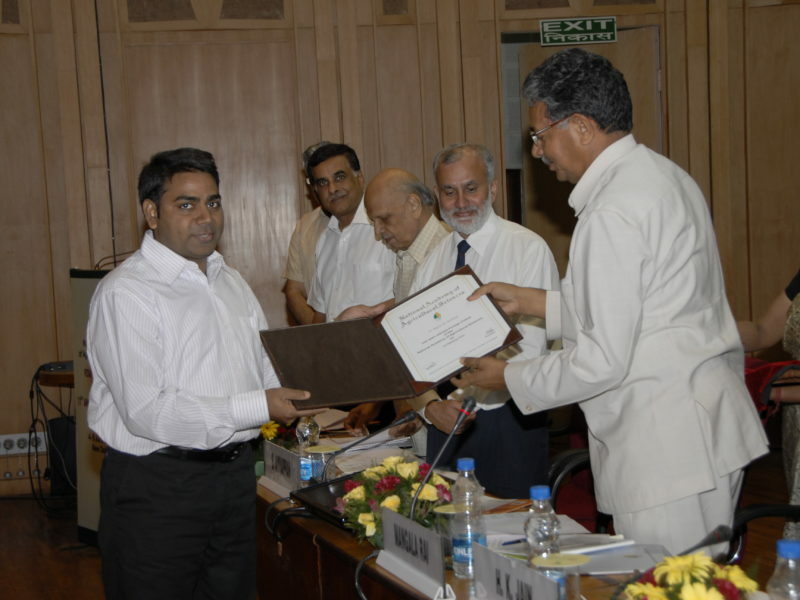 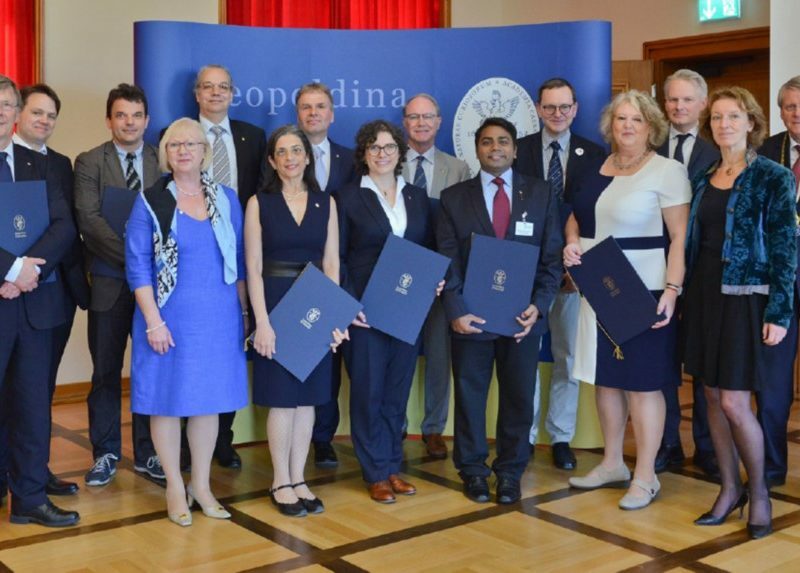 Dr Rajeev Varshney from ICRISAT was one of the 15 members of the external Advisory Panel of internationally recognized experts to provide advice and guidance to the Task Force on these biotechnologies. 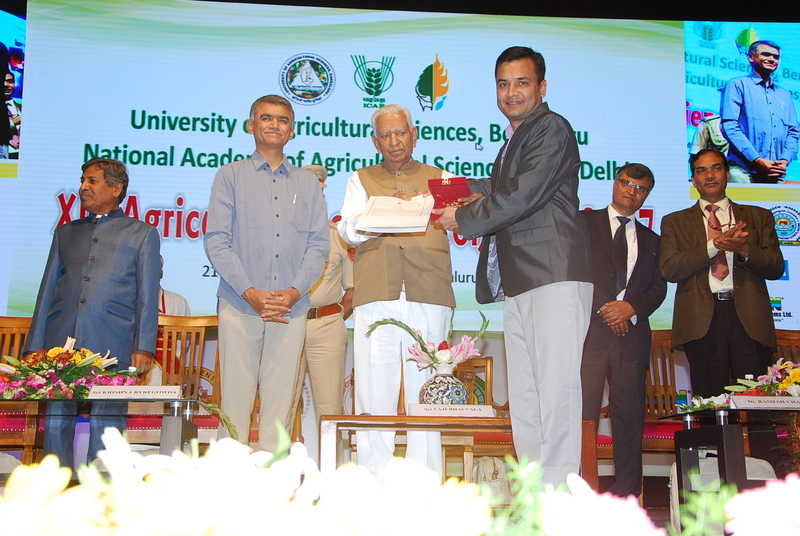 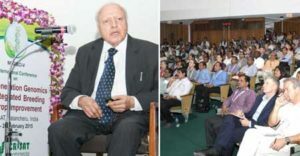 In addition to presenting on strides made in genomics research in India and the areas to be addressed, he highlighted India’s need to adopt agricultural biotechnologies to feed a growing population of 1.3 billion. 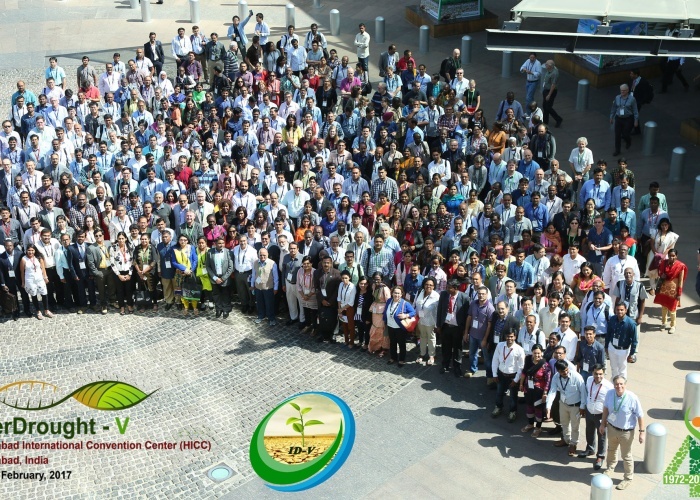 The meeting was attended by over 200 delegates from 39 countries representing governments, policy makers, scientists, NGOs, FPOs, farmers, etc. 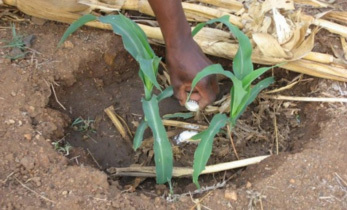 The regional meeting noted that debate on the use of genetically modified organisms (GMOs) continues to monopolize popular discourse on biotechnology. 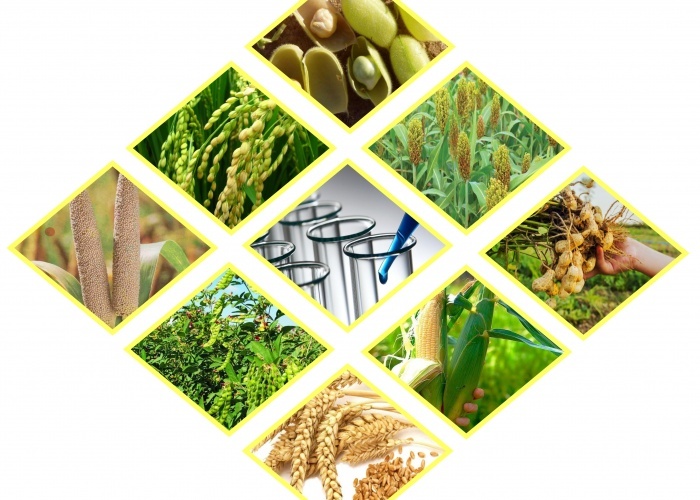 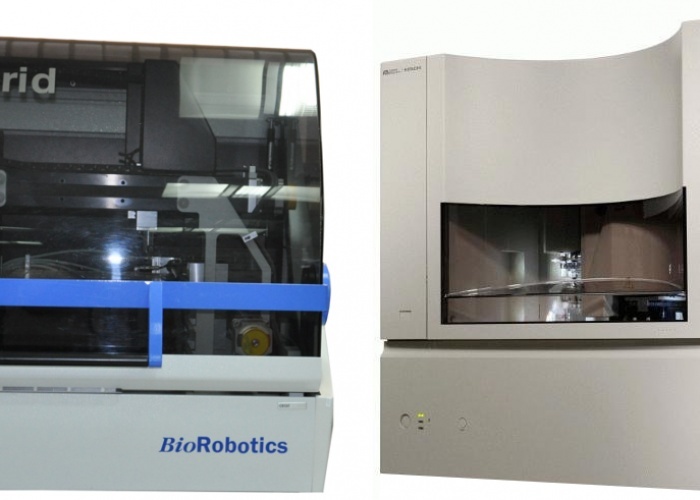 However, a more holistic approach using wider range of low- to high-tech solutions in the biotechnology toolbox would prove a more useful approach for scientists and policy makers in the region. 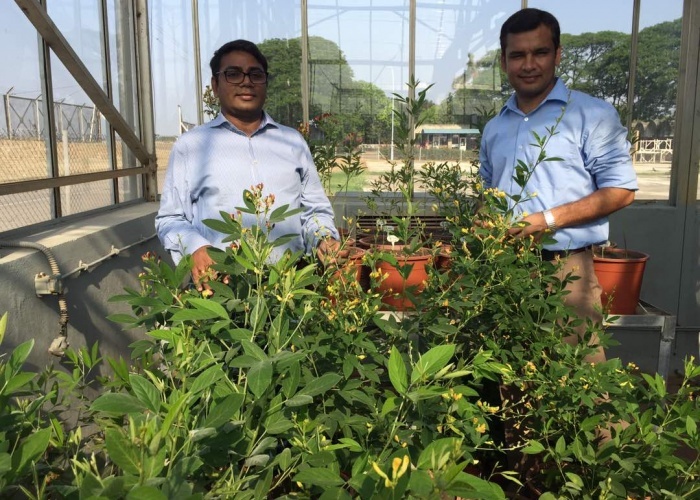 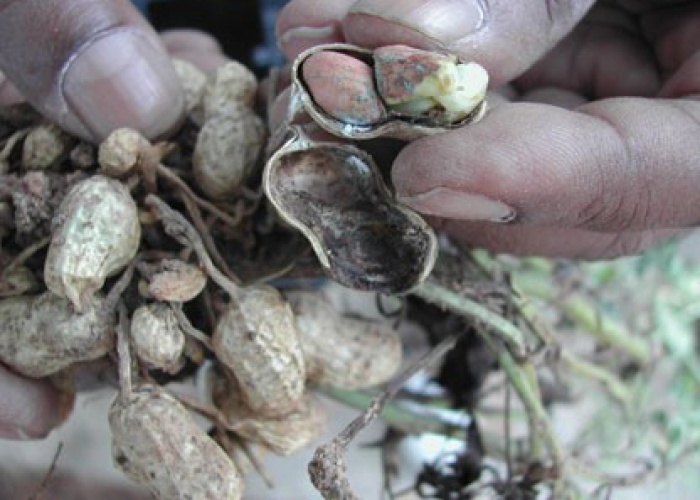 To share developed products during phase I of USAID funded project on pigeonpea improvement through molecular breeding (Oct, 2012 – Sept, 2015) with the stakeholders, a product dissemination workshop was organized on Aug 4 and 5, 2015. 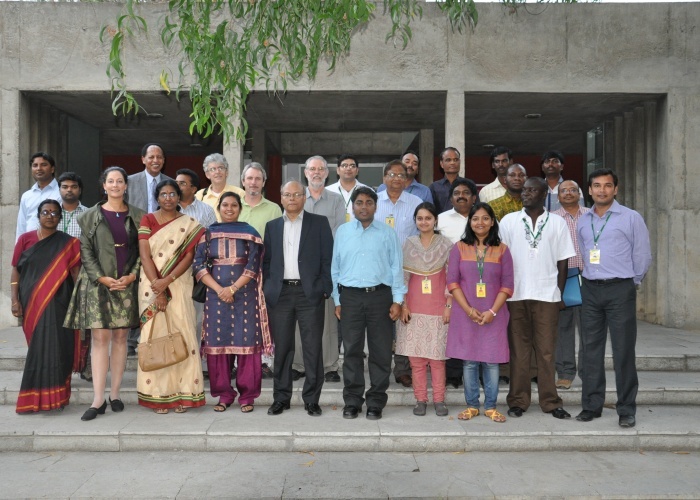 Project partners from Agricultural Research Station (ARS)- Tandur, The Professor Jayashankar Telangana State Agricultural University (PJTSAU), Hyderabad, Telangana; Agricultural Research Station (ARS)- Gulbarga, University of Agricultural Sciences (UAS), Raichur, Gulbarga, Karnataka and representatives from key public pigeonpea research centres (Indian Institute of Pulses Research (IIPR), Kanpur, Uttar Pradesh; Rajasthan Agricultural Research Institute (RARI), Durgapura, Rajasthan; RAK College of Agriculture, Sehore, Madhya Pradesh; University of Agricultural Sciences-Dharwad, Dharwad, Karnataka) and private sector (Krishidhan Seeds Pvt. 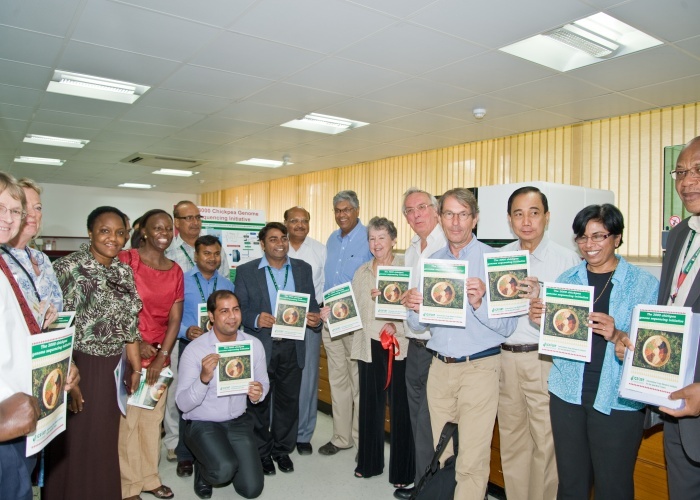 Ltd; Bioseed Research India)from India and Africa (University of KwaZulu-Natal, South Africa; Ilonga Agricultural Research Institute(ARI), Tanzania; Naliendele Agricultural Research Institute, Tanzania; Ngetta ZARDI/ NARO, Uganda) along with the USAID officials and project advisory committee were participated in product dissemination workshop on Aug 4 and 5.